A Virtual Private Network (VPN) gives people digital privacy when they connect to the internet. It also allows them to pretend to be anywhere in the world to unblock website content and services. With a VPN ‘flashed’ router it is possible for every device in a home to be connected to the web via a VPN - all of the time! Open source software known as DD-WRT can be installed on routers. Whether you buy a pre-flashed DD-WRT router or install the software yourself, you can install a DD-WRT VPN service directly onto a router. That DD-WRT firmware provides access to the router's inner settings - giving users the ability to protect all their web traffic with a VPN. Installing a VPN client on a DD-WRT router is massively convenient. It means that every device connected via WiFi to a router is protected by the VPN’s encryption. Usually, a VPN must be installed directly on each device that you want to protect. A DD-WRT VPN means you don't need to worry about getting a VPN that permits many simultaneous connections. For this reason, a DD-WRT VPN service is perfect for large families. In addition, with a DD-WRT VPN everyone connected to to the WiFi is concealing their true IP address. This means they can all overcome censorship and geo-restrictions to access international content such as Netflix US, BBC iPlayer, and Hulu. For people who want to flash a router with DD-WRT themselves, there is a guide later in this article. For everybody else, the best DD-WRT VPN (ExpressVPN) sells a pre-flashed router. If you want more router options, check out our 5 best DD-WRT routers article. 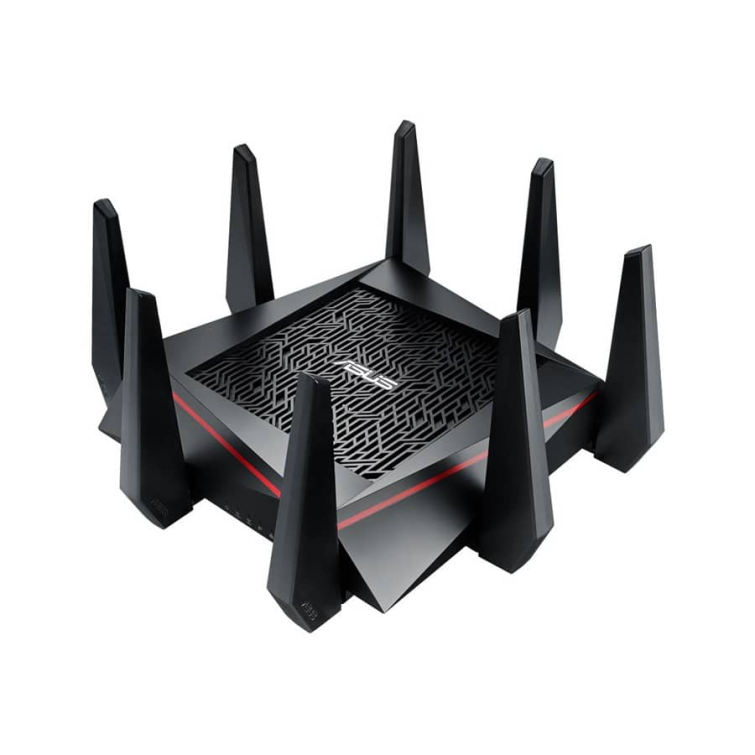 The Asus RT-AC5300 is the Death Star of wireless routers. Although the AC88U is slightly better when it comes to technical specifications, the AC5300 wins every time when it comes to performance. This is in part thanks to the eight external antennas, which are set up in a four-transmit, four-receive (4T4R) configuration, and give it fantastic range. 4T4R also helps to avoid interference between devices, thereby increasing transfer rates. 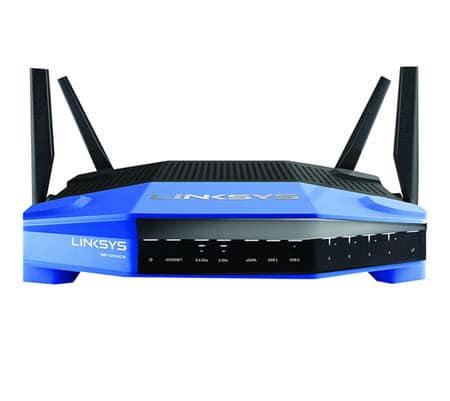 The router also allows users to set up two real 5GHz networks. In addition, the router is loaded with MU-MIMO technology (Multi User - Multiple Input Multiple Output), as well as specialized gaming technology to further reinforce the amazing wireless technology. 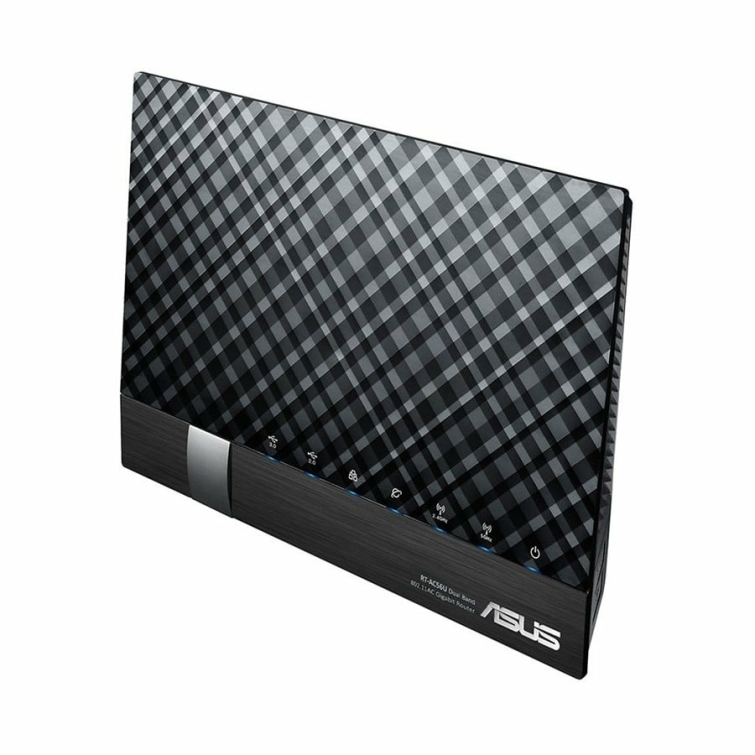 On the whole, if you're looking to deck out your home or office with a router that will support your 4K video streaming, and endless wireless devices, then this Asus is the best DD-WRT router for you! 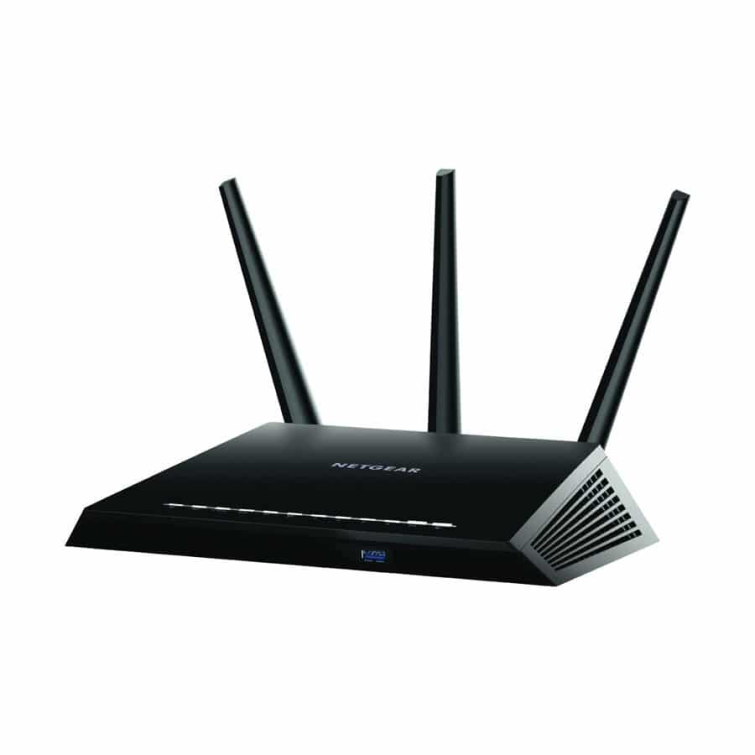 Four antennas give this router a fantastic range, and the router performs well on both the 2.4GHz and 5GHz channels. Please remember that despite this being billed as a Tri-Stream router, that functionality is actually lost when it is flashed with DD-WRT - so that technology does not apply to DD-WRT. The same is true of MU-MIMO. MU-MIMO allows the router to communicate with multiple devices at the same time, increasing the speed of the WiFi network (by getting rid of interference between devices). However, not every VPN will necessarily be compatible. Despite this, the WRT3200ACM is a fantastic router that performs at superb levels when flashed with DD-WRT. Due to its Marvell chipset, it is perfect for intensive tasks such as gaming, streaming, video calls, or max speed VPN use. The Netgear R7000 was last year's winner, but because of a number of new releases it has dropped down to third place. However, this router is still an absolutely spectacular option. The R7000 is capable of streaming videos, improving your online gaming, and much more. While it lacks the power and transfer rates of the above two, they all support DD-WRT MEGA builds so you can achieve the same level of functionality. If you are interested in running DD-WRT on your Netgear router, you should also visit MyOpenRouter, the open source Netgear community. The RT-AC56U is a very popular router for home use. Asus has achieved a slick design, allowing it to be tucked into a corner, without impacting its performance too much. The company has also included two USB modules in the router, thereby enabling you to connect your hard drive for efficient sharing between family and colleagues. If you're looking for a low price router with plenty of punch, then this is an excellent solution. Read our definitive DD-WRT guide to find out just how much can be done with this DD-WRT router (and any other DD-WRT router, for that matter). 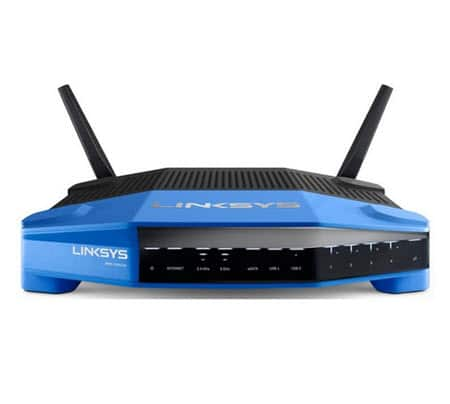 The Linksys WRT1200AC is a superb router, although perhaps just a little too pricey for what you get. Despite this, it is a popular router that has been proven to provide both good range for its spec and fantastic performance (again for its spec). The great news is that FlashRouters provides this router pre-flashed for use with a huge number of different VPNs. As such, this is a quick and easy option that delivers more than enough power for most people's needs. Where this router really performs is due to its inclusion of both USB 2.0 and USB 3.0. This allows a hard drive to be connected directly to the router via a gigabit connection, and allows it to be used as a fast network storage server (without having to buy a NAS server). A DD-WRT router is a router that has had special software (firmware) called DD-WRT installed on it. Whereas most routers (like the one you get from your ISP when you purchase a broadband contract) have very few functions: DD-WRT routers allow their users to control many advanced features. They also permit users to install more software directly onto the router's memory. This allows a DD-WRT router's owner to install a VPN directly onto it. Flashing a router with DD-WRT is tricky, which is why most people opt to buy a pre-flashed router. If you aren’t a particularly technical person, a pre-flashed router is the best option. For people who have the expertise (or the patience to learn) - flashing and installing a VPN on a router is achievable. However, please bear in mind that not every router can be flashed with DD-WRT. One thing to bear in mind is that although a flashed DD-WRT router protects all your devices, the protection of all those devices is going to be limited by the quality of your chosen VPN's service. That is why it is vital to ensure you get a reliable and trustworthy VPN service installed on a DD-WRT router. Failure to do this will mean that all your devices suffer from the same substandard VPN service. When selecting a VPN for DD-WRT, the same VPN considerations apply as when selecting a VPN for using directly on independent devices. Encryption must be strong, and it must be implemented to a high standard. Servers must be located in a good spread of locations, and those servers must provide fast speeds for enjoying the internet. Furthermore, customer service and VPN provider's professionalism should be considered, so that you can quickly resolve any issues. One of the main advantages of a VPN is that subscribers can overcome censorship and geo-restrictions. Connecting to a VPN server in the US or UK, for example, means that the VPN user appears to really be in one of those countries. Many VPNs provide very slow connection speeds, which means that streaming in HD is nigh on impossible. Our number one recommended DD-WRT VPN service is ExpressVPN , because it provides lightning fast access to servers in 94 countries worldwide. However, all of the VPNs for DD-WRT that we have recommended in this list provide access to fast servers situated all over the world. Subscribers can unblock content in any of those countries. With a flashed DD-WRT VPN service, that freedom of access is available on every device in your home. Why Would You Use a DD-WRT router VPN? A VPN allows people to pretend to be in a different country. It does this by concealing the VPN users IP address. When you connect to a VPN server, local censorship and restrictions are lifted. A VPN also overcomes geo-restrictions. the result is that with a VPN it is possible to access websites and website services from all over the world. A VPN also provides digital privacy thanks to encryption. This stops ISPs, governments, workplaces, schools, and landlords, from being able to track what the VPN user did online. With a VPN installed on a router, all the devices attached to that router are automatically protected by the VPN. this stops people from having to remember to connect to a VPN every single time they use a VPN. It also means that every laptop, PC, tablet, phone, smart TV, and other IoT device that is attached to the WiFi - is automatically being given digital privacy. Smaller businesses and offices that have a few computers or laptops connected to the internet can protect all of the internet-connected computers with a VPN by purchasing a DD-WRT flashed router and VPN. This is the best way to protect your businesses digital privacy. It also guarantees that all the devices attached to the business WiFi are automatically protected with digital privacy: taking the responsibility out of employees hands. A VPN's encryption also stops potential hackers who manage to get onto the business WiFi from being able to "sniff" traffic to steal corporate data or other sensitive data. Buy it directly from the VPN provider: our most highly recommended VPN, ExpressVPN (and others such as StrongVPN), sells a pre-flashed router that has the software already installed. You can simply log in to your VPN account and protect your home. Visiting FlashRouters is another excellent way to get a flashed router. FlashRouters provides a custom DD-WRT flashing and customization service. All you need to do is purchase your VPN and buy the router from flashrouters. When it arrives, it will be set up and ready for you to log in to your account. Buying directly from the router manufacturer is the final way to get a flashed router. Due to their popularity, many router manufacturers make DD-WRT routers. You can purchase these routers on Amazon and elsewhere. However, you will not get the level of customer care and setup help that you get from Flashrouters if you buy the DD-WRT router directly: and Flashrouters has very competitive prices. You will also need to load the VPN onto the router yourself. However, all of the VPNs in this article will have guides and support staff to help you through this process. OpenVPN is by far the most secure VPN encryption on the market. It is the VPN encryption that we recommend that you use, so you should set up the VPN on your DD-WRT router to connect using it. Setting up OpenVPN varies for different VPN providers. See our installation guide to find out how to install a VPN on your DD-WRT router. Make sure your DD-WRT router supports OpenVPN. Most DD-WRT routers accept OpenVPN by default, but it's worth checking. If you want to connect with OpenVPN (and you do! ), make sure when you buy your router that it supports OpenVPN. Now navigate to your VPN's website and log in. On your VPN's downloads page, download the .ovpn files (or at least the one for the server that you wish to connect to). In this article, we have recommended the best VPN for a flashed DD-WRT router and four runners-up. The easiest way to get a VPN running on a DD-WRT router is to buy it pre-flashed. For those who want to flash a router they already own, we have an installation guide. Please remember, however, that the guide is only an outline and that the details will vary for each VPN provider. So please remember to get the details from your VPN provider. All of the VPNs in this article are perfect for running on a VPN router, because they are trusted and reliable services that showcase the best of what VPNs have to offer. They all have lightning fast servers located around the world, which will allow you to unblock almost anything. All that is left is for you to decide which VPN you prefer. We are confident there is an ideal VPN for everyone in this guide, no matter what your personal circumstances may be. So read through the options carefully, and select your VPN with confidence. If you have any questions at all, please don’t hesitate to contact us in the comments section below. Hi there - I've been setting up the GL-Mifi router and Nord VPN but I've been struggling to get it performing. Have you looked at their range. Therefore, I'm thinking of using the RT-AC5300 but wondered if I can use it with a SIM? A quick look at its Amazon page tells us the RT-AC5300 is a regular WiFi router, not a MiFi one. So no SIM card... The best thing to do is to talk to flashrouters.com because they are more up to date with router hardware compatibility than I am, and will be able to help you find the right router for your needs. There are many unresolved issues with DDWRT and the wrt3200acm. You just reading specs off the product websites or what? Hi Robert, Ray does point out that using DD-WRT on Linksys WRT3200acm does mean losing some of its features That said, it was developed for use with OpenWRT. I have actually been given a review unit by Flashrouters to test their new DD-WRT app, so I'll let you know how I get on. The Linksys WRT3200ACM has terrible open source support. It shouldn't even be on this list.